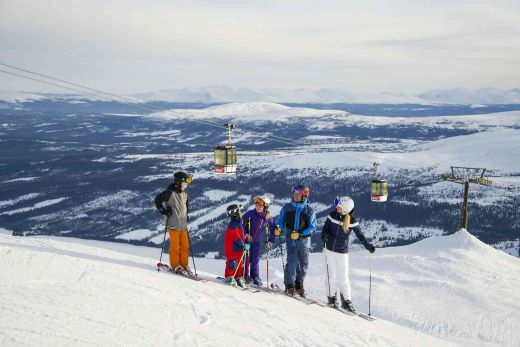 Lift pass holders in Åre in Sweden who are in resort for the upcoming FIS Alpine World Ski Championships next February will have free admission to events as “your lift pass is your entry ticket”. The 2019 FIS Alpine World Ski Championships, the biggest event in the alpine skiing world besides the winter Olympics, will run from 5-17 February at Scandinavia’s biggest resort. The bi-annual competition will see eleven World Champions crowned in Slalom, Giant Slalom, Super-G, Downhill, Alpine Combined and Alpine Team Event. Special facilities are in place to help disabled fans view the action, free tickets are available for children aged under 8 and there’s the option of upgrading to buy access to the two storey VIP Lounge 2007, located by the finish line, where staff will serve a three-course meal including beverage at 2495 SEK plus VAT (about £270) per day. It’s only 12 years and five staging of the Championships since they were last held in Åre in 2007. They had previously been staged there for the first time in 1954, so the resort joins an elite group including Vail and St Moritz to have staged the championships at least three times. There’s be no competition of a similar calibre in 2020 but 2021 will see the next Championships in Cortina with the Beijing Winter Olympics the following year.